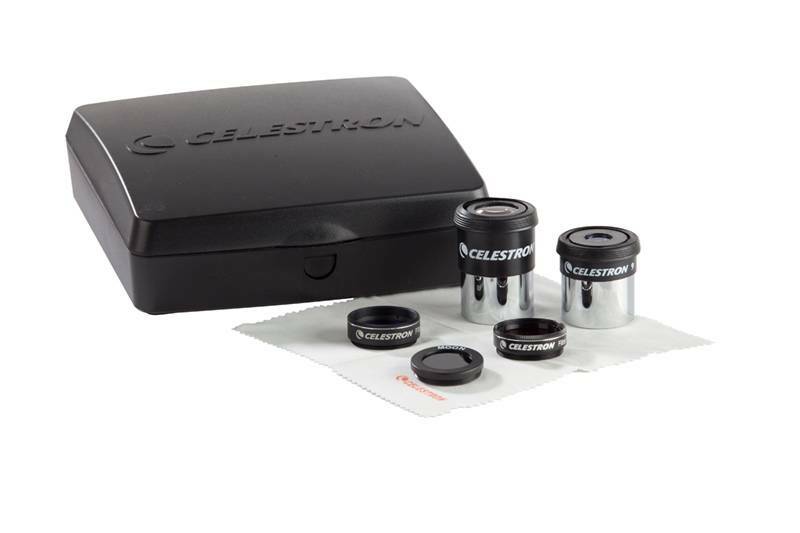 This economical seven-piece accessory kit enhances the performance of your Celestron PowerSeeker, or most any other telescope. 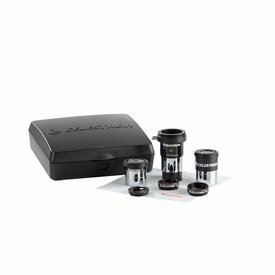 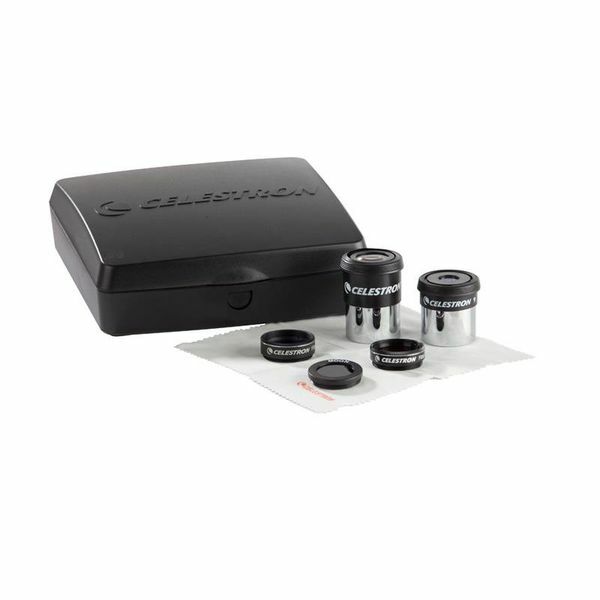 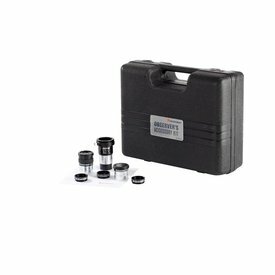 Includes two full-size 1.25” eyepieces, three eyepiece filters, a cleaning cloth, and a case. 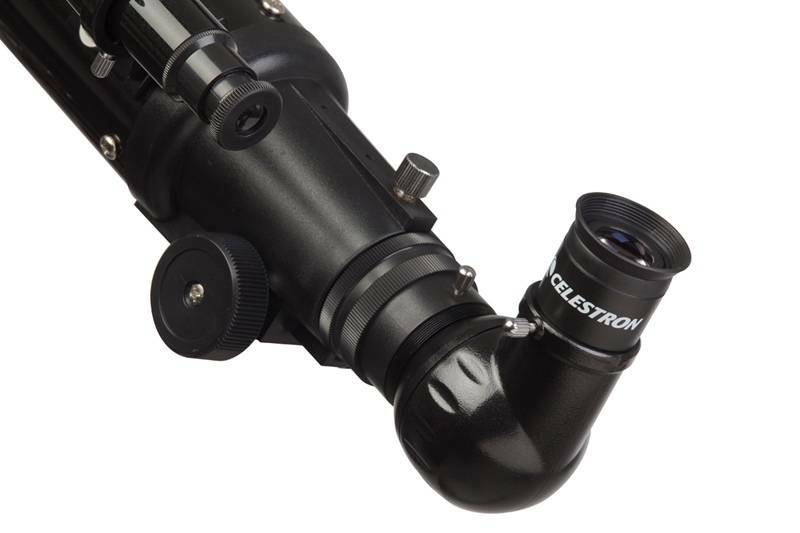 One medium power & one high power eyepiece give you a new perspective on celestial objects. 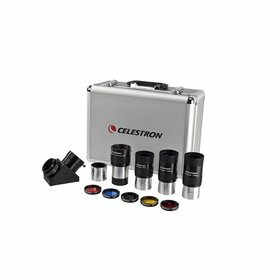 A Moon filter helps block out some moonlight so you can see more lunar detail, and the two color filters (Red & Blue) highlight features on Mars, Jupiter, and Saturn. 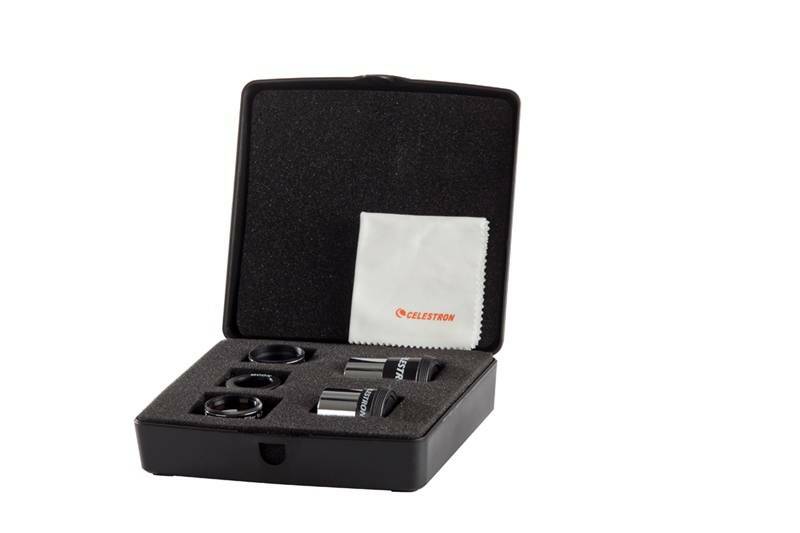 A hard plastic carry case keeps everything safe in the foam-lined interior.